Perfect for open and narrow living spaces, our beautiful, space-saving Wateridge End Table has access available on either side of its solid wood frame. 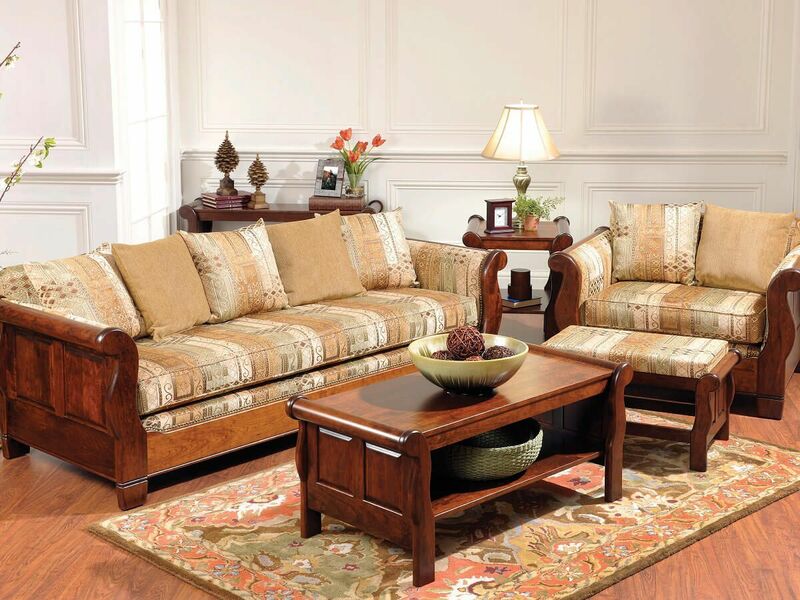 Add character to your living room, den, or library with the distinctive sleigh design of our Wateridge End Table. The elegant sleigh details pair nicely with the table's recessed hardwood paneling. 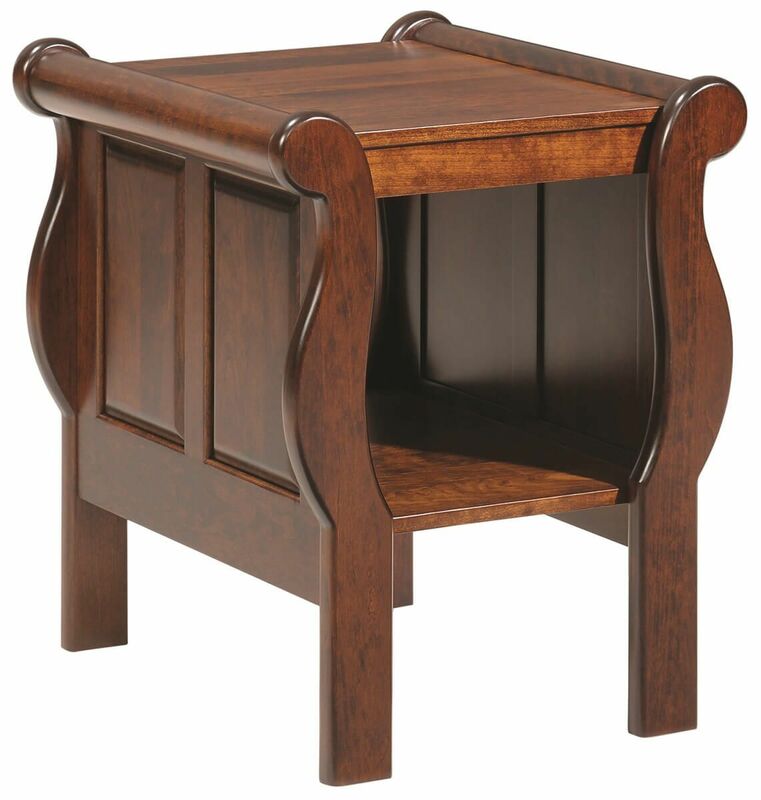 Handcrafted in the hardwood you most prefer, your end table is completely custom. Determine which wood would work best in your home, then request stain samples to see in person. Enjoy your Wateridge End Table for generations as it will be handcrafted by skilled Amish woodworkers using time-tested construction techniques.